For everybody's information, Philippines also joins the global movement and call it 'Luntiang Lunes'. 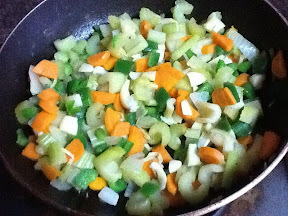 Here's the sauteed crunchy veggies. 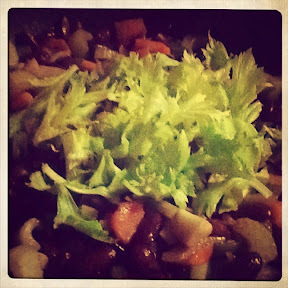 The veggies mixed with red beans plus celery for garnish. I survived! 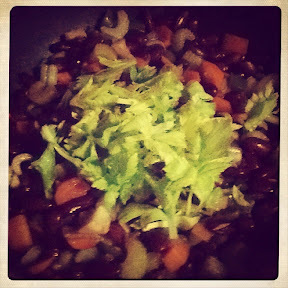 :) Visit www.meatlessmonday.com for more info.